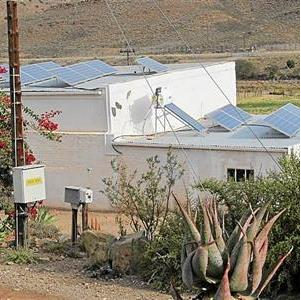 ESKOM sells electricity directly to consumers In a number of urban areas across the country. There are two tariff categories. Homelight with FBE and Homepower. The Lifeline electricity tariff is a subsidised tariff aimed at providing support to low income households. What are the tariff benefits and who qualifies? African Utilities Week 2016 – key ideas! Dr Kandeh Yumkella, UN Under-Secretary-General: “... the best way to predict the future is to create it.” Let's make Renewable Energy an African Revolution! Kodak’s message for ESKOM – adapt or die? Does Kodak's demise have lessons for power utilities? Kodak didn't recognize the impact of digital cameras. Will ESKOM see the game changing role of renewables? 2016/17 Cape Town residential electricity tariffs include a new Home User tariff with a monthly service fee irrespective of how much electricity you use. Electricity – a pro-active role for municipalities! A role for municipalities in generating & distributing electricity - Issues appear to be political rather than regulatory & financial rather than technical? NERSA the National Energy Regulator has announced a 9.4% tariff increase for ESKOM. Less than the 16% ESKOM applied for but still well above the consumer price index. Bad energy planning and political interference is costing us too much. Counter Electricity prices with Energy Efficiency. Do you understand your electricity tariff? Are you battling to get a measure of your electricity consumption and buy in from your family to be energy efficient? Email Kim at Green Audits for a quote.